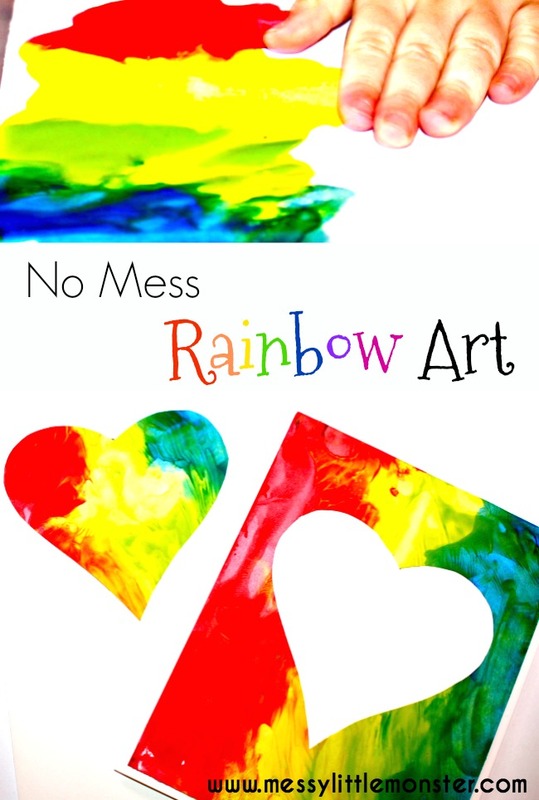 Create your own no mess rainbow art after reading the beautifully written and illustrated story "My colour is Rainbow" by Agnes Hsu. 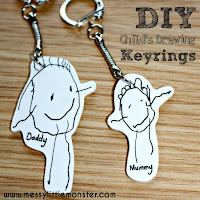 Babies, Toddlers and preschoolers will love exploring this story and easy art process. 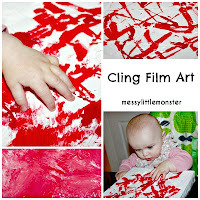 This painting activity is perfect for the days when you don't want to spend ages cleaning up your child! 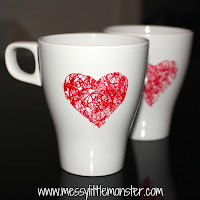 Are you looking for more rainbow activities? Take a look at our rainbow toast, rainbow footprint butterfly and rainbow suncatcher. 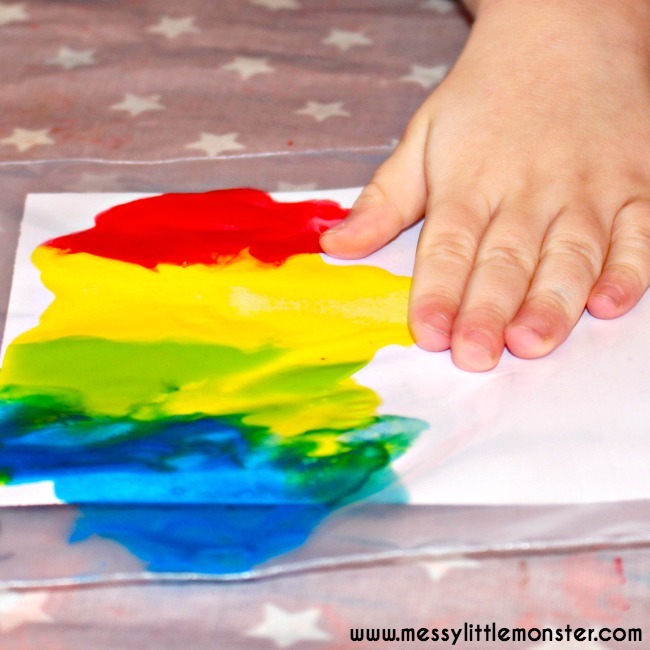 Before creating our no mess rainbow art we read the story "My Color is Rainbow' by Agnes Hsu. This beautifully illustrated story is about a little white arch going on a journey to find out what colour he could be. He meets each of colours of the rainbow along the way who all have different characteristics. Little white arch gets to experience being loving (red), friendly (orange), happy (yellow), helpful (green), peaceful (blue) and majestic (purple), before finally deciding that he isn't defined by one colour, he can be rainbow. This story is perfect for discussing kindness, acceptance and openness as well as being a great story for children working on learning their colours. 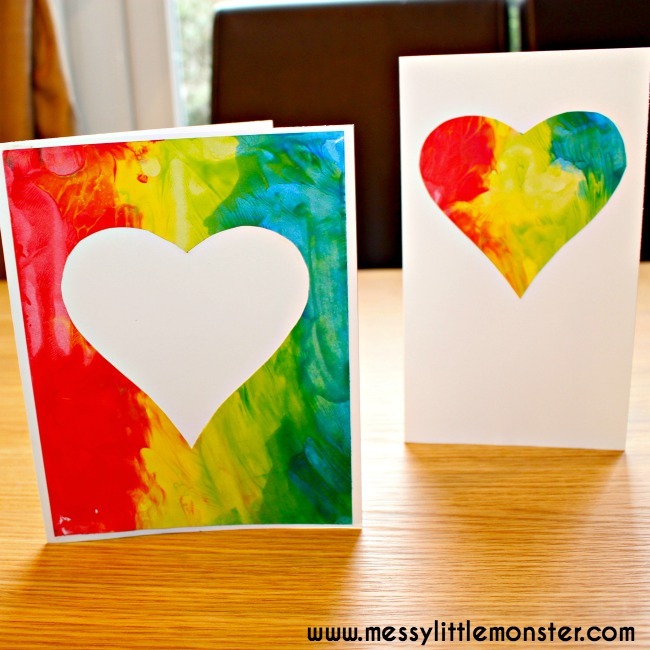 Start by squeezing some rainbow coloured paint along one edge of your piece of card. Carefully place the card into the ziploc bag. 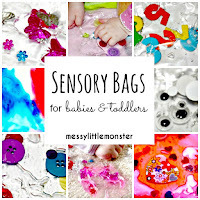 Ensure the ziploc bag is sealed well and hand it to your child. 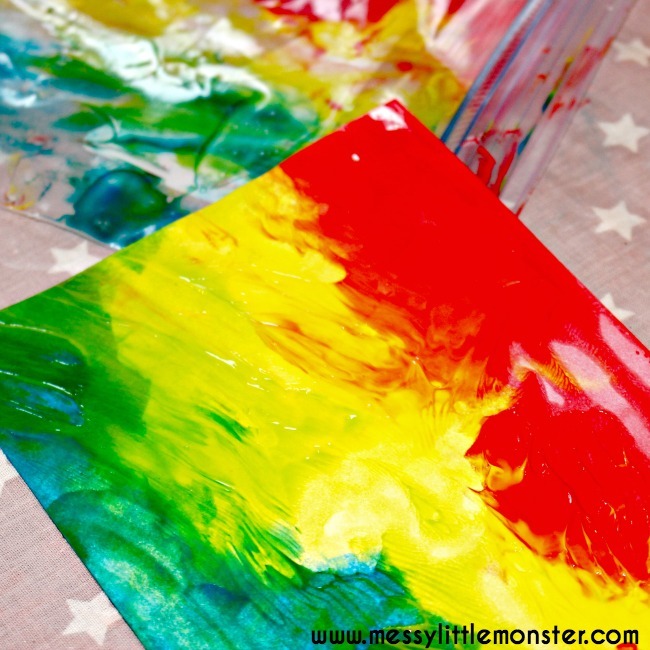 Let them explore what happens when they touch the blobs of paint through the plastic. 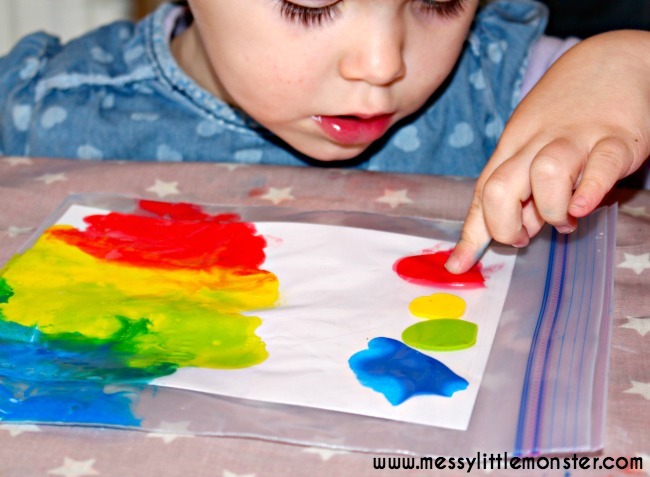 Encourage your child to use their fingers or the palm of their hand to move the paint along the piece of card. Add more blobs of paint as needed. 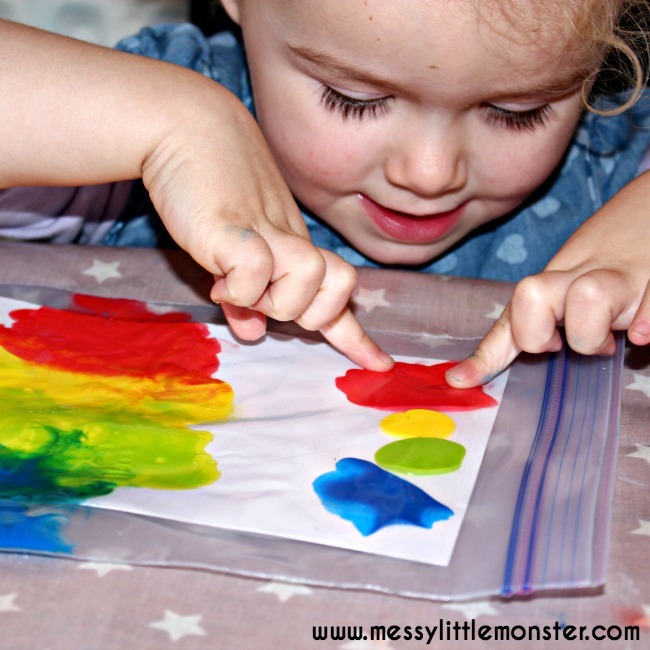 Daisy (aged 2) kept checking her hands and fingers as she tried to work out why they weren't getting messy. Watch the colours mix together to create a beautiful rainbow. 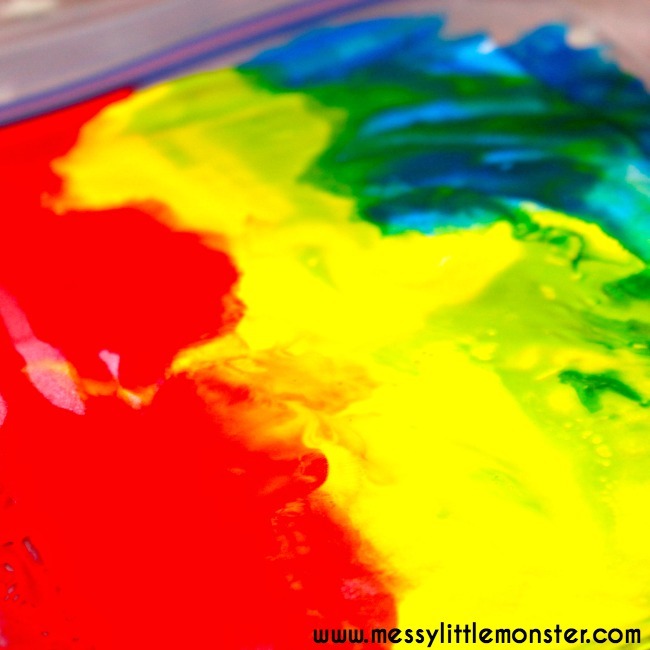 Carefully remove the rainbow from the ziploc bag and leave it to dry. 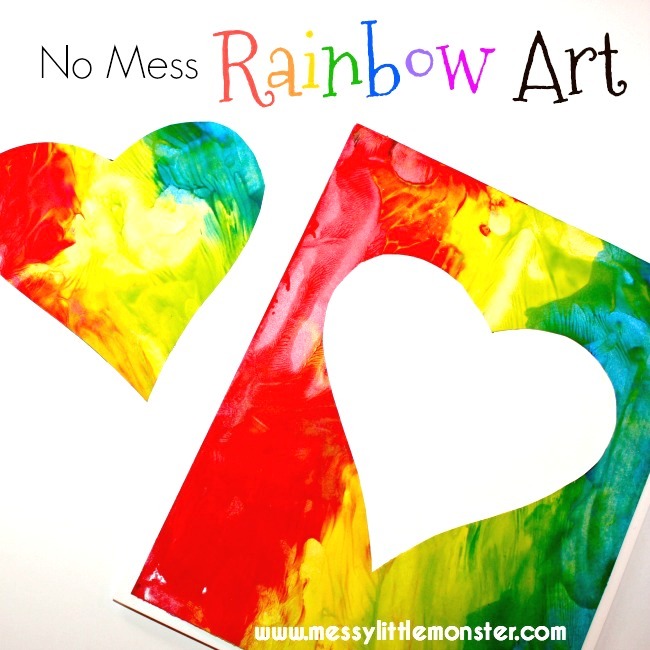 Decide what you are going to use your child's rainbow artwork for. 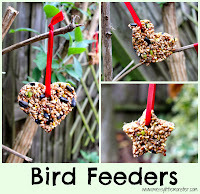 It would look beautiful framed, or you could use it to make greeting cards. 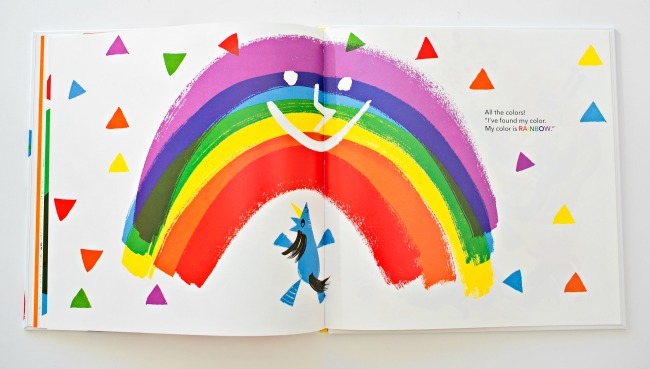 You could even make little white arch from the story to go in the middle of the rainbow art! 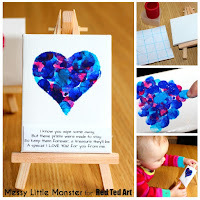 We decided to cut a heart shape out of the centre of our rainbow art and make 2 greeting cards from it. Subscribe to our new youtube channel to see more of our activities.